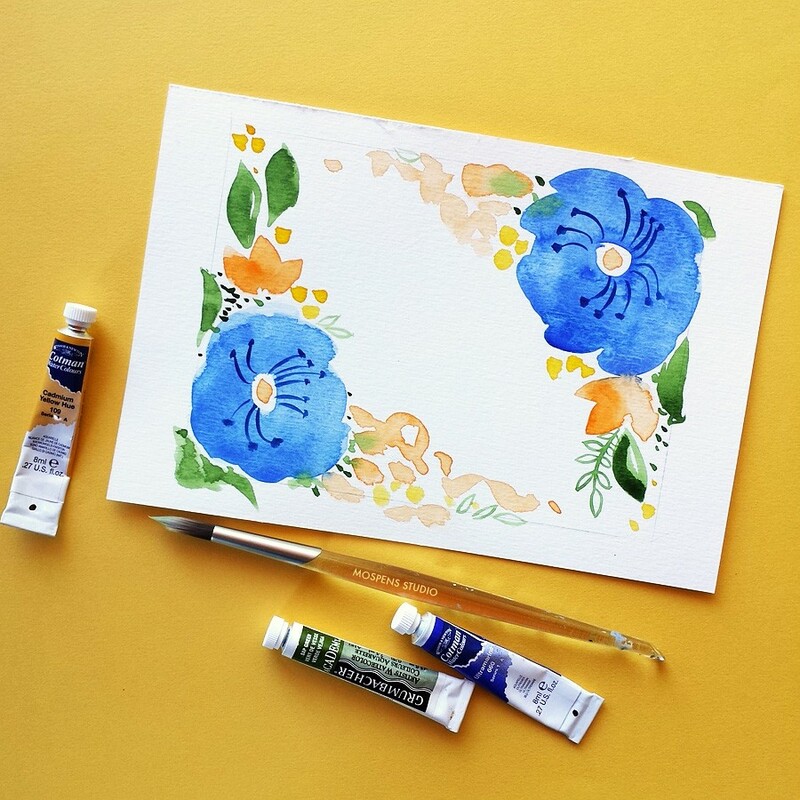 You are here: Home / custom invitations / BEHIND THE SCENES: Watercolor and more! 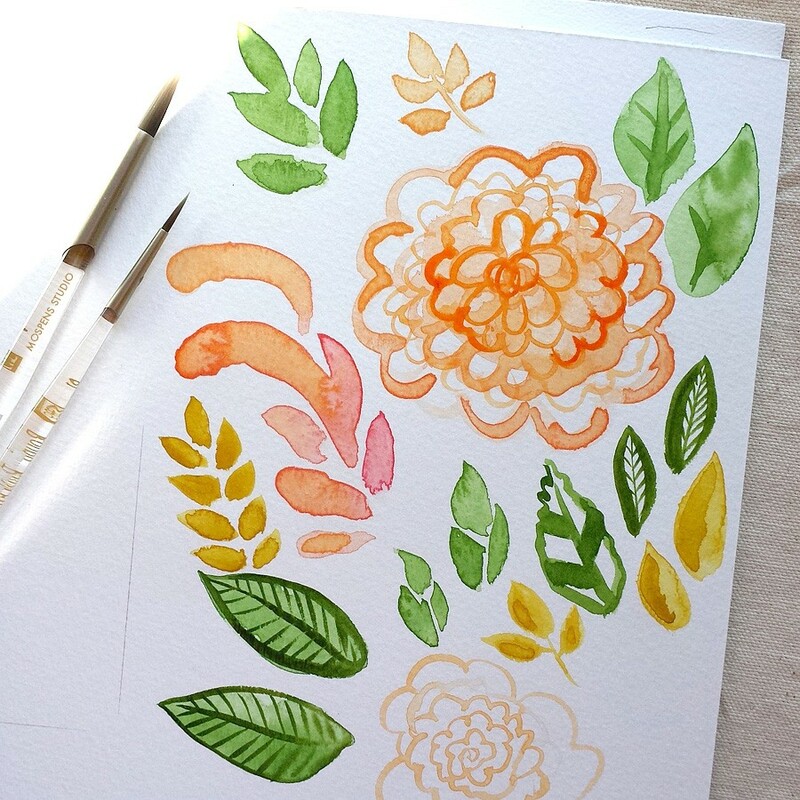 BEHIND THE SCENES: Watercolor and more! 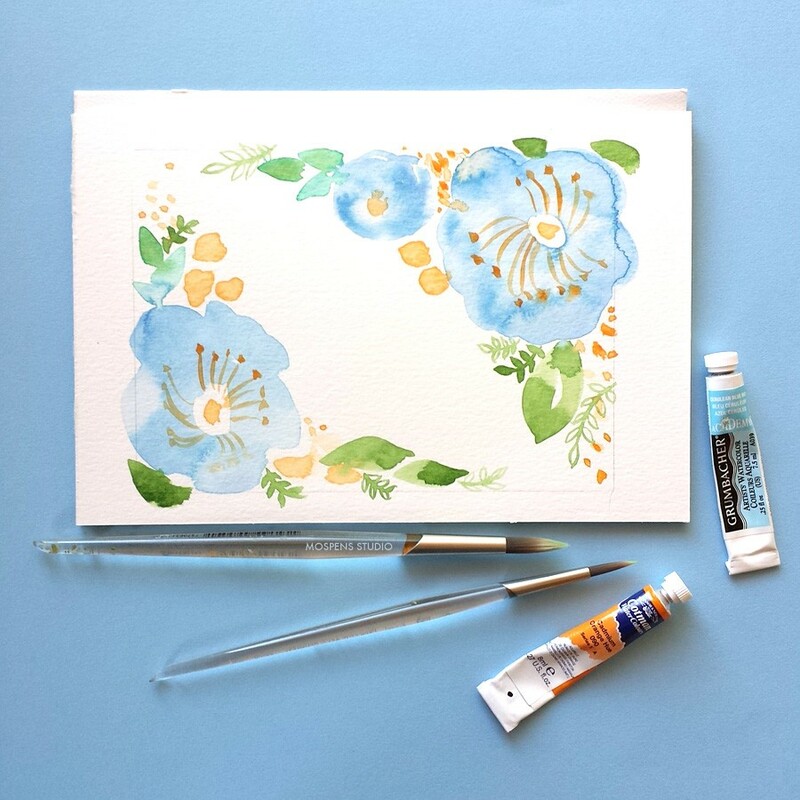 The studio has been buzzing with new watercolor floral wedding invitation and wedding suite designs! Fun fall foliage! 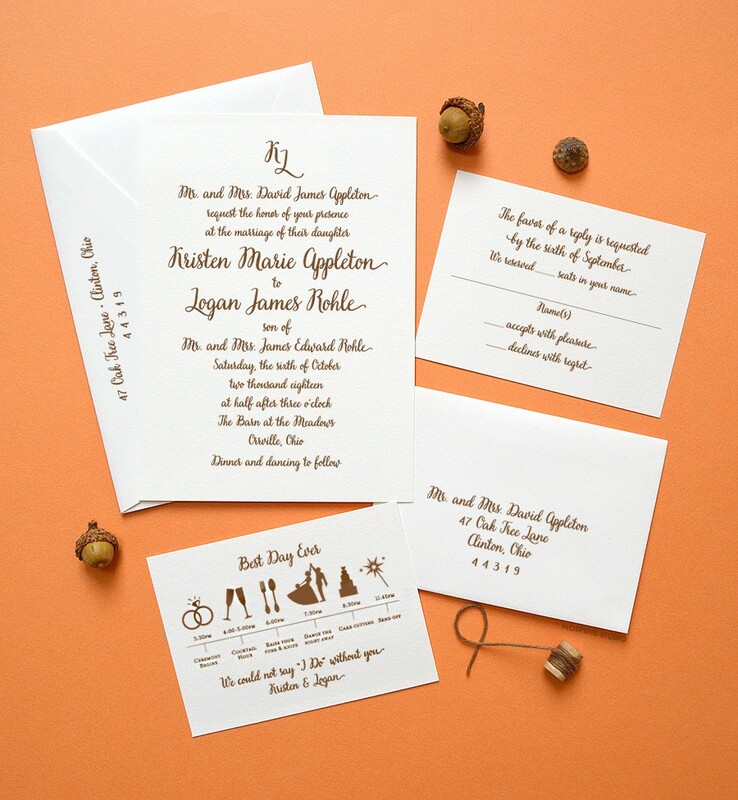 Perfect for autumn save the dates, bridal shower invites and rehearsal dinner invitations. One of our favorite Rose Blooms wedding suites that shipped this week. 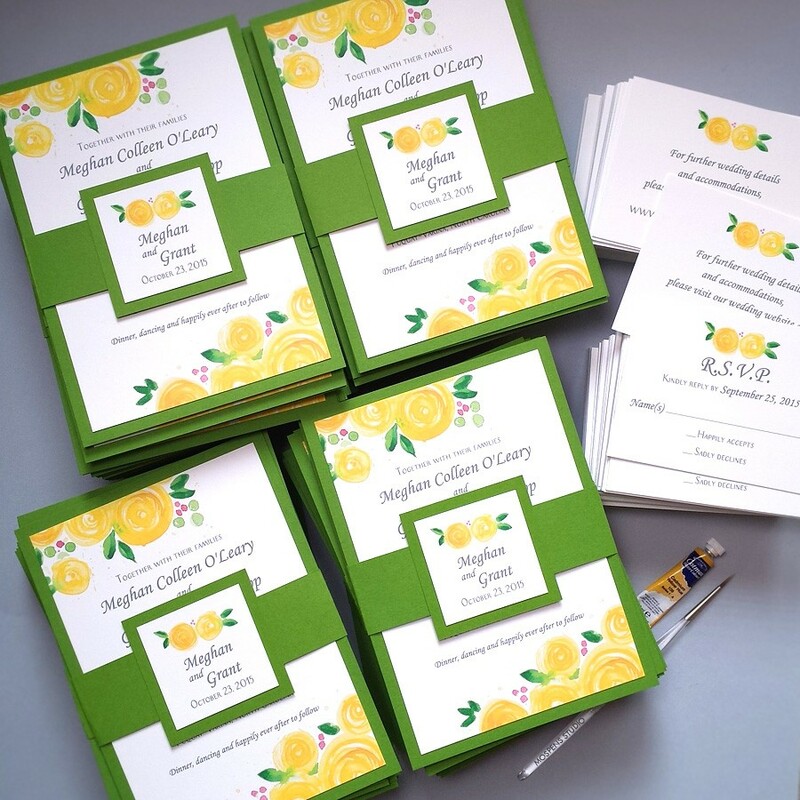 I wish we could take pics of all wedding stationery that we sent out. 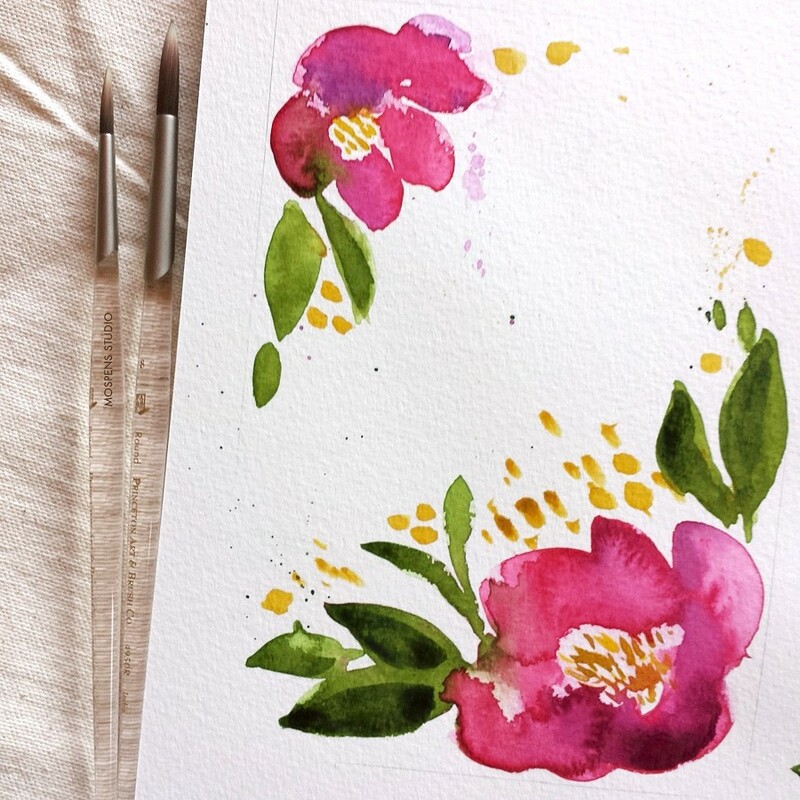 Watercolor winter blooms for a winter wedding suite. Love this sangria red color! Royal blue blooms for another winter wedding suite. So pretty! Watercolor brush lettering. 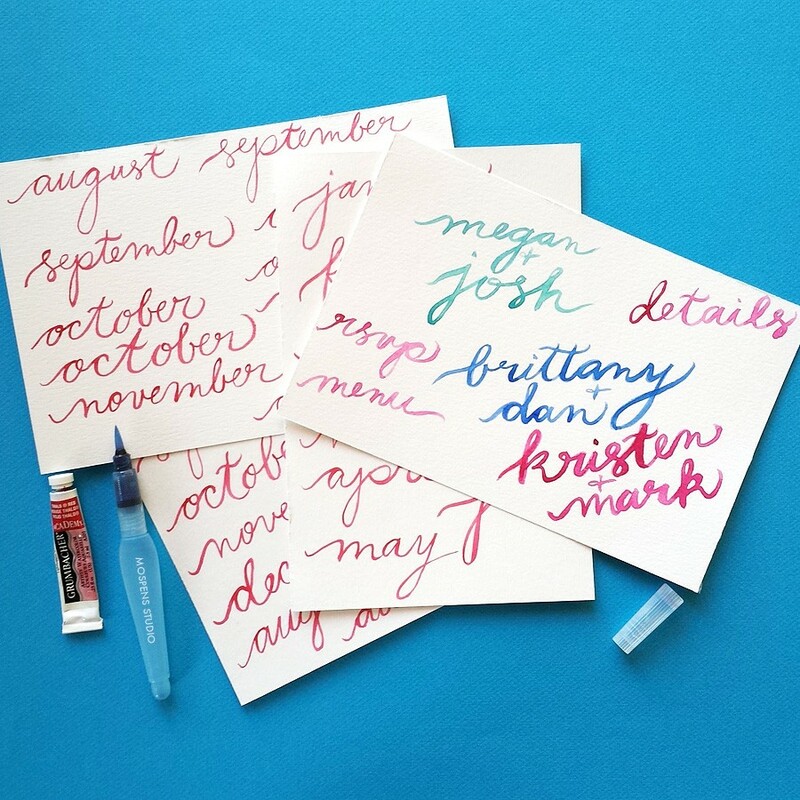 Loads of hand painted lettering ready for custom save the dates. Loving our NEW letterpress invite Miss Appleton. The timeline is just perfect for guests. Follow Mospens Studio on instagram @mospensstudio to be the first to see what we are working on today!